Turkey’s consulate in Iraq’s Kurdish region has warned Turkish citizens that flights between Turkey and the Iraqi cities of Irbil and Sulaimaniyah will be suspended as of 6:00 p.m. Friday. The announcement came after Iraq called on international carriers to suspend flights to the Kurdish region after it held a referendum for independence from Iraq. A statement posted on the Turkish Consulate’s website in Irbil said Wednesday that flights by the carriers Turkish Airlines, AtlasGlobal and Pegasus to and from the two cities “won’t be possible” after Friday evening. It said added that authorities were working to increase flights until Friday. 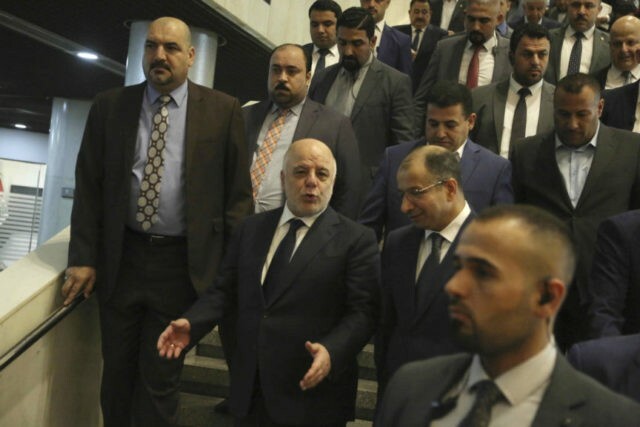 Iraq’s prime minster has ruled out the use of force in the government’s confrontation with the Kurdish region after it held a referendum on independence that was rejected by Baghdad and neighboring countries. Parliament has approved a 13-point resolution that gives al-Abadi the mandate to deploy troops in the oil-rich city of Kirkuk and other disputed territories that are controlled by Kurdish forces but are outside the autonomous Kurdish region. On Wednesday, parliament modified the resolution to demand that Baghdad refrain from taking part in any dialogue with the Kurds until the results of Monday’s vote are cancelled. It also called on the government to bring those behind the vote, including Kurdish regional president Masoud Barzani, to justice. The demands added on Wednesday are non-binding. The Kurdish region’s election commission says more than 92 percent voted in favor of independence. The election commission for Iraq’s Kurdish region says a referendum on independence from Baghdad has been approved by more than 90 percent of voters. The non-binding vote is unlikely to lead to formal independence, and has escalated long-running tensions with Baghdad. Iraq and its neighbors, along with virtually the entire international community, are staunchly opposed to any redrawing of the map. Hendrin Mohammed, the head of the commission, announced the official results at a press conference Wednesday, saying the referendum passed with 92.73 percent support and turnout of more than 72 percent. The vote was held across the autonomous Kurdish region’s three provinces as well as in some disputed territories controlled by Kurdish security forces but claimed by Baghdad.